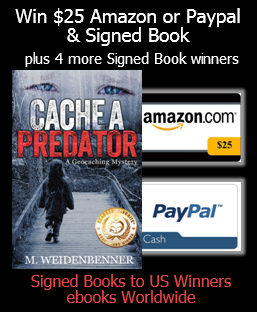 Michelle Weidenbenner has written a great mystery/thriller for her first novel. She does an excellent job introducing all the characters and how they all relate to one another and the storyline. Officer Brett Reed loves his daughter, Quinn, and will do anything it takes to keep her safe. Only she isn’t safe … Brett lost the custody battle to his depressed, drug addict ex-wife who is always either wasted or hung over. When Quinn is found wondering the streets alone, she is placed in foster care until both parents are interviewed. Meanwhile, someone is maiming male pedophiles from the community and hiding the “trophies” in local geocaching sites. The police follow leads they get from studying the cases of the victim’s victims to try to catch this psychopath. The author ties all the ends together nicely with an edge of your seat ending complete with twists and turns. I hope she plans on a sequel to this story … I already miss the characters and want to see how they continue on. 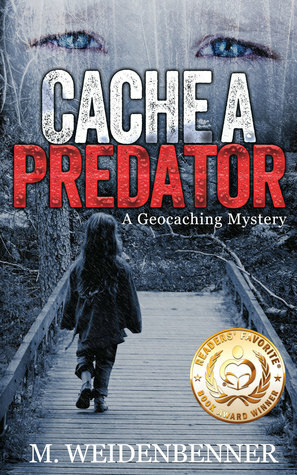 This entry was posted in My Thoughts & Opinions, Reviews and tagged Amazon, Book, Cache A Predator, geocaching, Reading, Review on November 21, 2014 by Tracy.